Top Left Tam Bat Hy, Top Right Tam Mung. Every Thursday @ 7:00 PM (30 min of sitting meditation | 30 min of walking meditation and 30 min of sitting meditation. Followed by a Tea and Discussion. 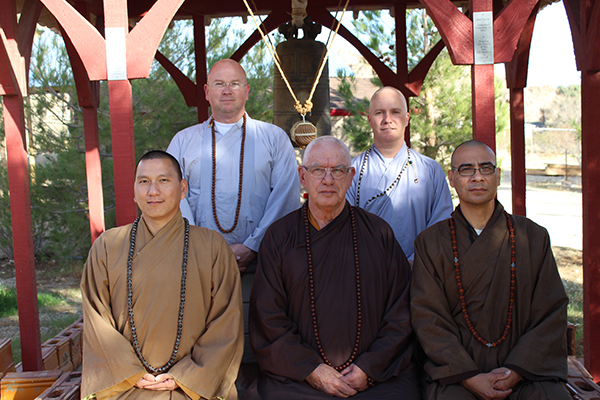 Zen Traditions or Dharmma Talk is a sermon on public discourse on Buddhism by Buddhist teacher or Master. 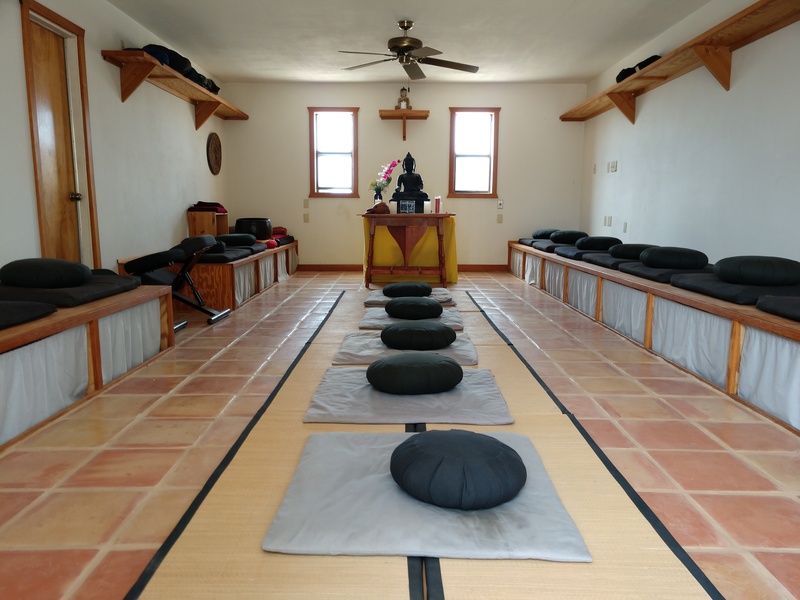 The center was purchased in 1976 and was used for monthly meditation retreats by the members of the Long Beach Zen Monastery and the International Buddhist Meditation Center. 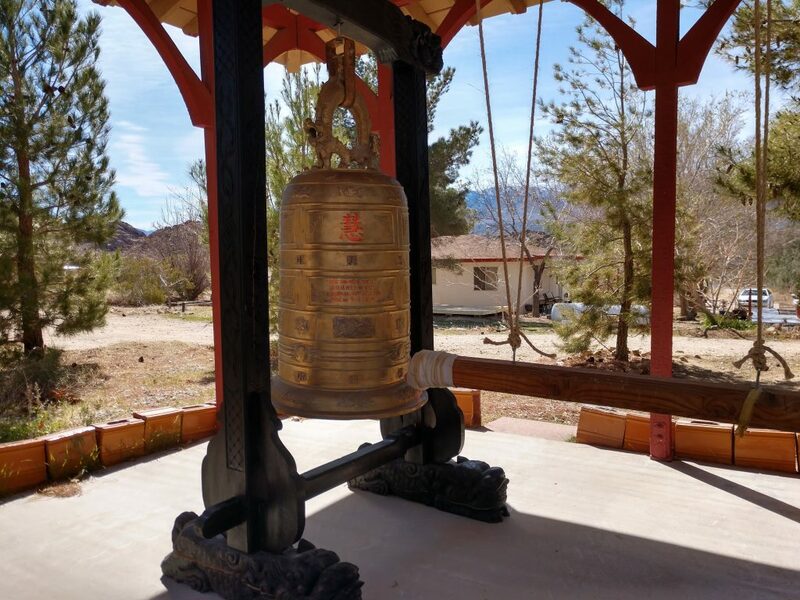 In 1982, the Venerable Thich An Giao and his Senior Disciple, Thich Tam Hien moved to the desert to take up permanent residence at the Center. At that time the temple was named Monjuji. 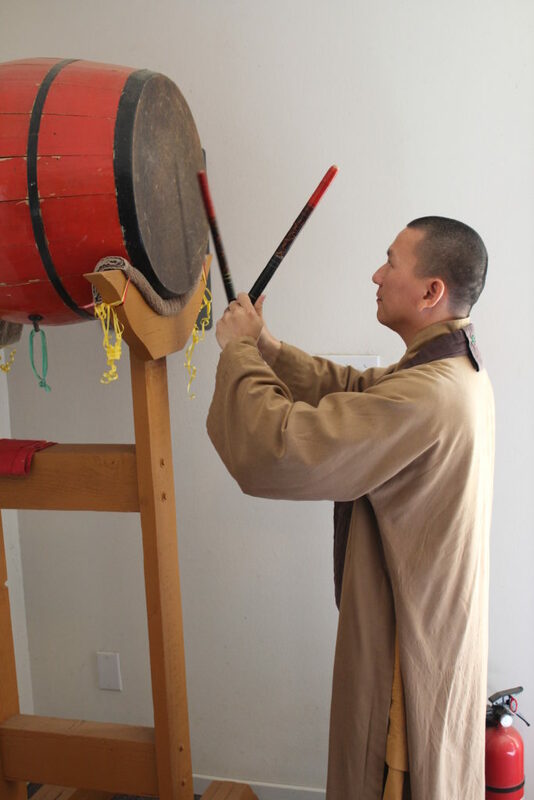 Since then, a number of buildings have been erected, a number of monks trained and the service to the local community expanded. 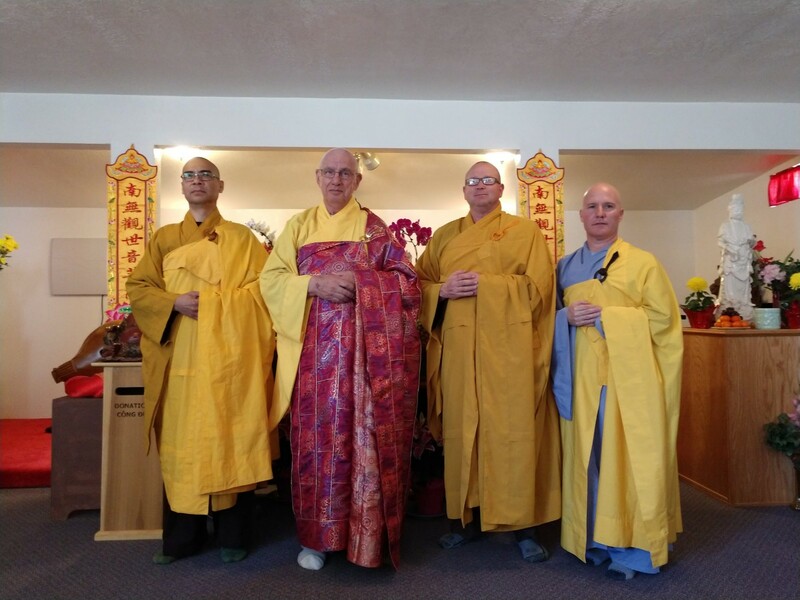 At the first Grand Ordination at our temple, held in December of 1999, the Temple was renamed Chua Thien An in remembrance of the Most Venerable Thich Thien An, Roshi’s Vietnamese Master. Suffering - Birth is suffering, aging is suffering, death is suffering, sorrow, lamentation, pain, sadness, and distress are suffering. Being attached to the unloved is suffering, being separated from the loved is suffering, not getting what one wants is suffering. In short the five aggregates of grasping are suffering. The Origin of Suffering - Craving gives rise to rebirth, bound up with pleasure and lust, finding fresh delight now here and now there, that is to say sensual craving, craving for existence, and craving for non-existence. 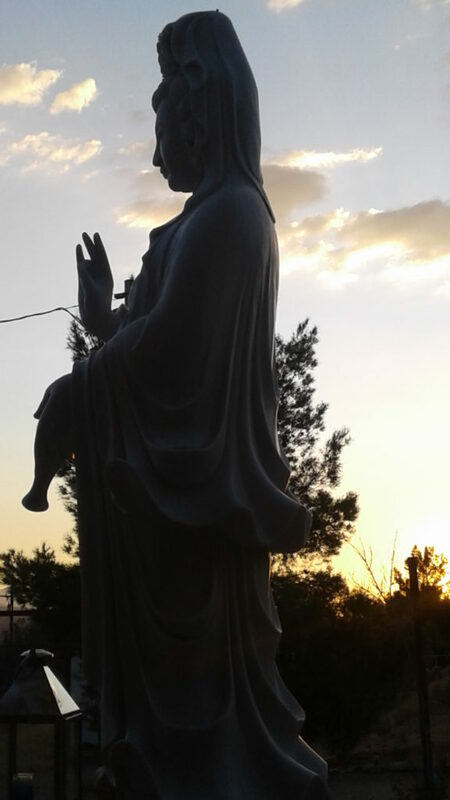 The Cessation of Suffering - It is the complete fading-away and extinction of this craving, the forsaking and abandonment of it, the liberation and detachment from it. 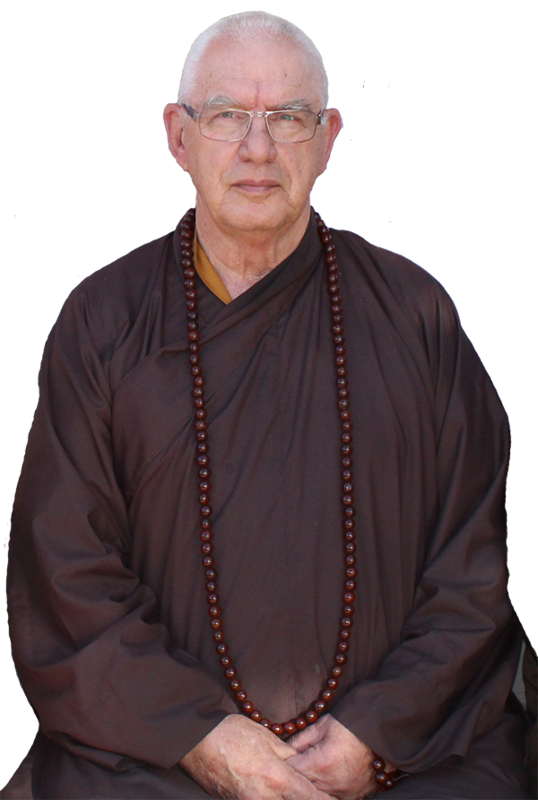 The Way of practice leading to the Cessation of Suffering - It is just this, the Noble Eightfold Path: Right View, Right Thought, Right Speech, Right Action, Right Livelihood, Right Effort, Right Mindfulness, and Right Concentration. In each case below the first word used is “right”. The sanskrit word this based on is either “samyak” or “samyag”. This is normally translated as “right” but has a meaning of complete or wholesome. These words are also sometimes translated either as “correct” or “perfect”. Refraining from lying, gossip, slander, harsh speech, and frivolous speech. Refraining from taking life, taking what is not freely given, and sexual misconduct. Avoiding actions that conflict with moral discipline. Not engaging in a livelihood that harms other sentient beings. Contemplation of the body as body, feelings as feelings, mind as mind, and mind objects as mind objects. Clearly aware having put aside hankering and fretting for the world. Here a practitioner, detached from sense-desires, detached from unwholesome mental states, enters and remain in the first jhana, which is thinking and pondering, born of detachment, filled with delight and joy. And with the subsiding of thinking and pondering, by gaining inner tranquility and oneness of mind, he enters and remains in the second jhana, which is without thinking a pondering, born of concentration, filled with delight and joy. 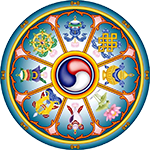 And with the fading away of delight, remaining imperturbable, mindful and clearly aware, the practitioner experiences the joy of which the Nobles Ones say: ” Happy is the person who dwells with equanimity and mindfulness”, he enters the third jhana. And, having given up pleasure and pain, and enters and remains in the fourth jhana, which is beyond pleasure and pain, and purified by equanimity and mindfulness.